One of my New Year's Resolutions this year was to support small and local businesses. While I still go to big, national stores, I also do my best to see if I can get what I need from a small business first. This may seem hard, but it's actually not. Between following businesses on Instagram to going to expos, fairs, and conventions, I've been keeping a list of small and local business that have almost everything I need. Here are a few of my favorites. Back in September, I went to the Naturalista Hair Show, a natural hair expo featuring natural hair vendors, hair care workshops, and even a fashion show. 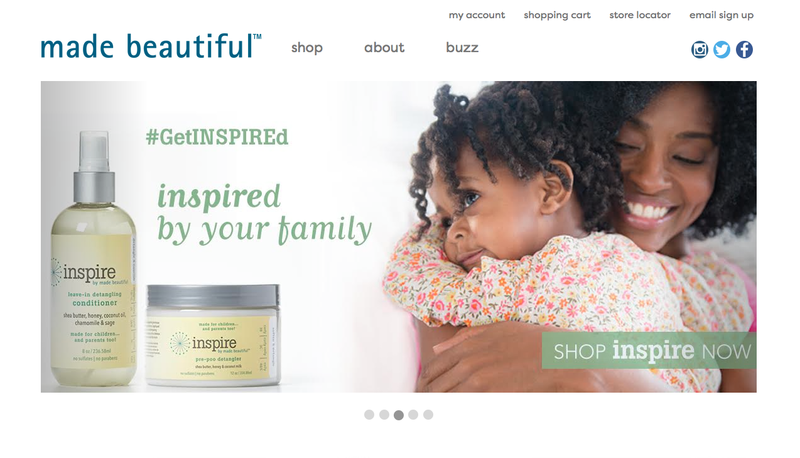 While there, I discovered Made Beautiful, a natural hair company that sells shampoos, conditioners, leave-ins, and more. Since I was looking to revamp my staple products, I decided to pick up PUREifying Cleanser, INSPIRE Pre-Poo Detangler, and INSPIRE Creamy Coconut Conditioner. I will write a full review later, but I absolutely love these products, and totally recommend them if your hair is dry and damaged. All of their products are $5 for Black Friday and Cyber Monday. 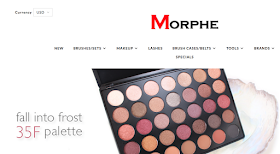 I can't tell you how long I've been eyeing this makeup brand; I hear nothing but good news from makeup enthusiasts, artists, and novices alike. Personally, I want the 35 Color Nature Glow Eyeshadow Palette, which I would use for blushes and highlighters (good hack for those who like makeup but don't want to purchase a bunch of blushes, highlighters, and more). But while the eye palette is what I want, they also have makeup brushes, concealers, lipsticks and more! I am beyond inspired by the beautiful Misty Copeland, so I was very excited to hear that she was putting out an athleisure line. I've been following them on Instagram for a few months, and while a lot of their collection is towards dance, it does seem like they have a lot of leggings and tops, which are perfect for yoga. While they haven't launched just yet, you can sign-up for their VIP list to get access to the private, pre-launch sale on Cyber Monday. An Instagram find, Foodie Dice will combine your desire to make a game out of dinner and foodie creativity. 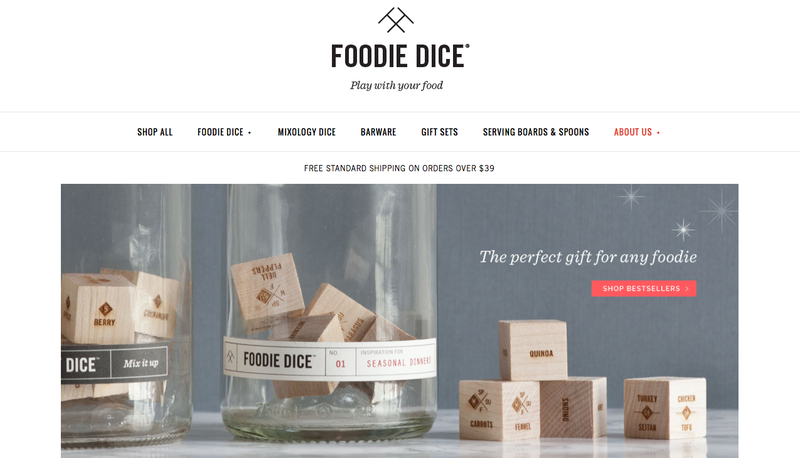 You get five dice, each with their own category (protein, cooking method, grain or carb, herb, and vegetable), to come up with unique meals or just to get some inspiration. The protein dice even comes with both a meat and vegetarian option (which is great because I've become an "at home vegetarian," I'll be writing a blog post on that too). There are over 186,000 combinations to keep your meals creative and fun for years to come. I'll be getting a bag for myself, and for my White Elephant gift for the company holiday party. I've reviewed Naturally Fly before, so it should be no surprise that they make an appearance on my list. Their butters and scrubs are perfect for yourself or as gifts for family and friends. I personally love the Honey Punch. It smells so good and the butter is perfect for dry skin like the feet, knees, and elbows. 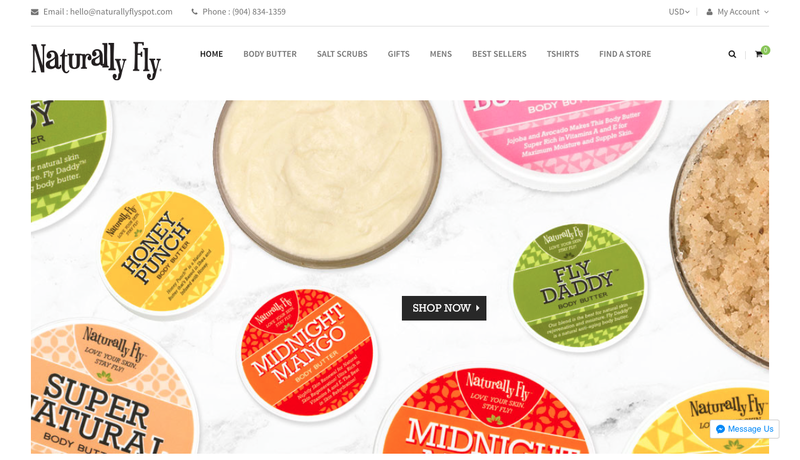 The Fly Daddy is great for men (I recently purchased the butter for my dad), and Super Natural is great for those who are sensitive to smell and fragrance. I follow a lot of yoga clothing companies on Instagram, and what has always stood out to me about Mika Yogawear is that they feel so accessible. From being financially accessible (it's nice to know I won't have to spend a whole paycheck on some yoga pants) to supporting local artists, I just always love when they pop up in my feed. I'm not sure if they will have any sales, but since I could use some black yoga pants, I probably won't hesitate to try them out. 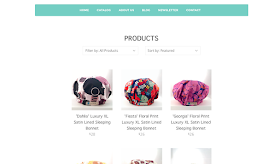 Need a sumo-sized bonnet? Or maybe a jumbo sized shower cap? I know I do! 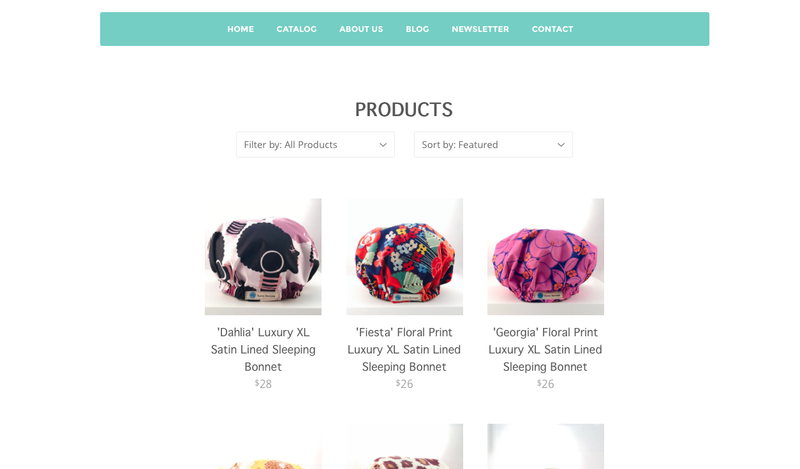 And you can get some of the biggest bonnets and shower caps you ever saw from SUMO Bonnets. I saw them at the Naturalista Hair Show, and unfortunately, they didn't have any more shower caps left when I got around to their booth. So I followed them on Instagram so I would never forget their name. I plan to finally get a shower cap this weekend, but I may also pick up a bonnet, which will be perfect for nights when I need to set my hair on some curlers. Earlier this year, I went to the Baltimore Seafood Festival for a girls day with some of my besties. We had a great time eating lots of food and just catching up. During one of our walks around the pier, I spotted a booth that sold seasonings, and everyone knows I can never say to no to a good spice blend. 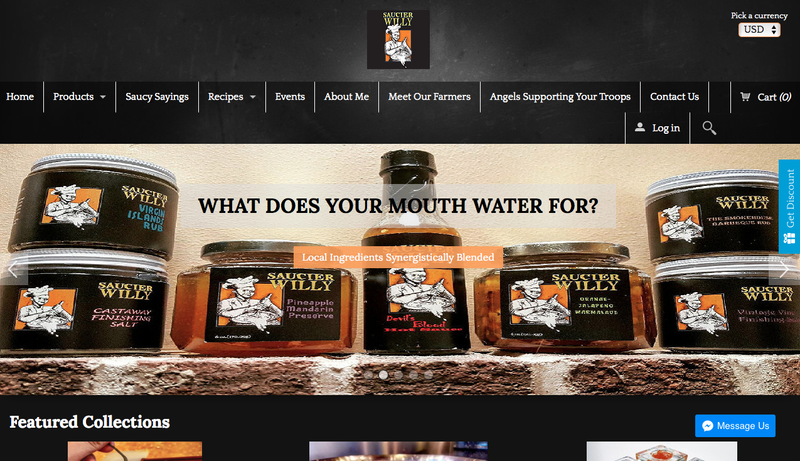 Saucier Willy sells seasonings, marmalades, hot sauces (which I got for a friend and he loves them), preserves, and more. Personally, I recommend the Virgin Island Rub; I use it on my roasted potatoes, as well as in my polenta. It's so good, and it will really upgrade your dish. 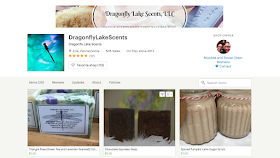 Another company I reviewed before, if you need yummy, delicious, exquisite smelling natural soaps, you will want to get some from Dragonfly Lake Scents. From pumpkin spice latte, chocolate, apple cider, and more, you will always find a scent that you'll love. And unlike so many other scented soaps, they're very gentle and non-irritating for skin. They also sell deodorant, bath soaks for sore muscles (which if I had a tub instead of a shower in my apartment, I would've totally got), and scrubs. 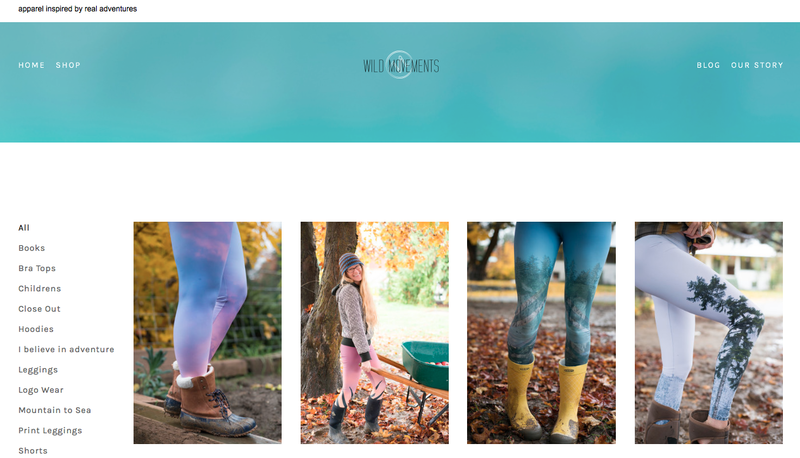 Another yoga clothing company, I discovered Wild Movements while following co-owner Holly Fiske on Instagram. I'm not usually a fan of print leggings, but these leggings are gorgeous. Holly and Leah (the other co-owner) take pictures of their adventures, and they are some of the most breathtaking photos I've ever seen. They then put the images on yoga pants, and they just look so amazing! I hope to grab the Storm Cloud Leggings and the Cherry Blossom Leggings. 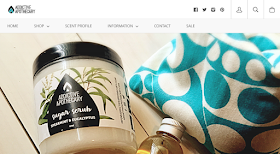 Another buy from the Naturalista Hair Show, I can thank Addictive Apothecary for helping to relieve a sore back after yoga. Their eye pillows (they're actually pretty large) can be put in the microwave or the freezer, and placed on any achy part of the body. And when I'm doing a lot of chaturangas, that just so happens to be my back. Addictive Apothecary has much more than eye pillows. You can get scented candles, soaps, and even beard balms for men. Even if you don't buy anything from these companies, try to buy at least one thing from a small or local business this season. You may be surprised at all the amazing things you can find.